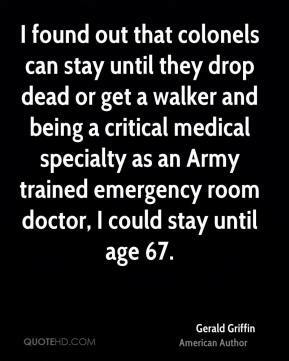 I found out that colonels can stay until they drop dead or get a walker and being a critical medical specialty as an Army trained emergency room doctor, I could stay until age 67. 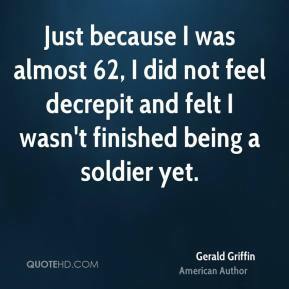 There cannot be any better cross-section of America and I think the soldiers represent the best we have. 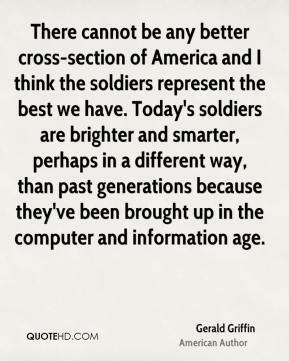 Today's soldiers are brighter and smarter, perhaps in a different way, than past generations because they've been brought up in the computer and information age.